Mr. Calder and Mr. Behrens are agents for Britain's Joint Services Standing Intelligence Committee (JSSIC). The formal method of addressing is used above because in the numerous stories about these two gentlemen, that is the way in which they are usually referred. Their full names are Daniel Calder and Samuel Behrens. This absolutely incomparable pair of agents were both born in the early 1910's. After each had attended the college of his choice, often taking courses in other countries to further their educations, both joined around the same time MI-6, probably 1935. Their service during WWII are still classified so actual activity is not mentioned but both were well regarded for their work and would have received numerous medals if such were given to people working in the clandestine world..
After the War ended, both remained agents with MI-6 until the mid 1950's when both were asked to transfer to the JSSIC, a new agency. They were picked because their reputation showed them to be the best there was and the head of the new bureau wanted nothing but the best. The JSSIC had wide latitude as to the missions it would accept and the cases that Mr. Calder and Mr. Behrens were given reflect that, though largely they would hunt down spies which had infiltrated the government institutions or help shore up security measures where feared lax. Mr. Behrens was fluent in German, French, Greek, Italian, and Russian. Mr. Calder spoke Greek, Italian, Arabic, Russian, and was especially gifted with Albanian and Hungarian. 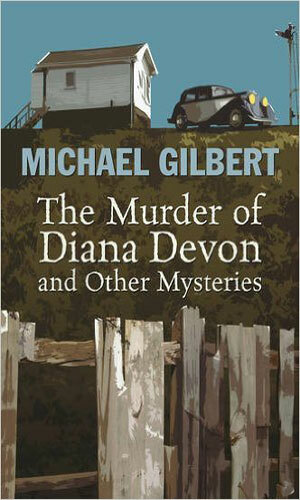 They were both excellent marksmen and superb drivers and incredibly observant investigators. In addition to being the best of friends, they each had a cottage just down the road from each other in Lamperdown, Kent. They share many of the same qualities. Both are very proper and polite to everyone they meet. They both act with amazing humility, neither wanting to stand out or take care even for things he actually did. And both are ruthless hunters of men, quite willing to kill without the least bit of hesitation if they feel it called for. As the series progressed, the age of the men increased until at the last of the stories both were near or at retirement age. Throughout it all, though, they remained gentile and unflinchingly lethal. The last six stories were written after Argosy had ceased operations and were instead published in the Ellery Queen Mystery Magazine as were at least three of those already in Argosy. The two books mentioned below are compediums of the all the short stories. Another compedium, The Road To Damascus and Other Stories, was published years later in a very limited run but the stories in that group were also in the two books described here. 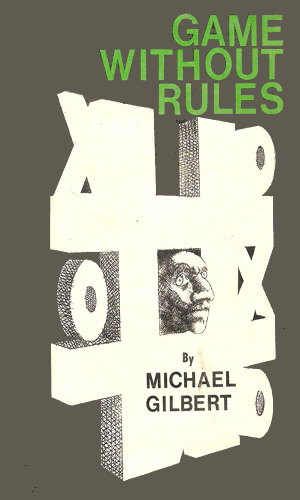 A collection of 11 previously unpublished stories by the author as well as a poem and two radio teleplays. The two teleplays are Calder and Behrens adventures taken from the BBC Radio series in 1968: Churchill's Men and St. Ethelburga and the Angel of Death. The terrific pair of Daniel Calder and Samuel Behrens first appeared to readers in the pages of the U.K. magazine Argosy in early 1962 and would continue to show up there off and on for just over a decade with the last one appearing in 1973. While many of these adventures would get turned into teleplays for BBC Radio, two of the last three from the Argosy period were either up-to-then unpublished stories turned into teleplays or novelizations of the episodes. Just over half a decade would go by before they would again show up in print, this time in the U.S. magazine Ellery Queen Mystery Magazine. Again there were a couple that had been aired on radio before being shown in print. Two of the ones listed below were never turned into prose but have been published in a collection in their original teleplay format. Teleplay of the BBC Radio episode. Published in the UK magazine Argosy, likely taken from the BBC radio teleplay. Published in the US magazine Ellery Queen Mystery Magazine, likely taken from the BBC radio teleplay. Published in Ellery Queen Mystery Magazine - plot unknown but concerns Daniel Calder and another series character by Gilbert, Jonas Pickett. Starting on October 28th of 1968 and running twice a week (Monday and Thursday) at 8:15 for the next 10 weeks, BBC Radio gave 20 half-hour-long episodes of Calder and Behrens. There were 16 adventures in all with 4 of them needing to be split into two-parters. Many of these adventures were teleplays taken from earlier published short stories (see Novellas). Two, however, (Churchill's Men and St. Ethelburga and the Angel of Death) were apparently originals and never turned into prose. Two others (Double, Double ... and Ahmed and Ego) are likely renamed adventures of previously published stories. I have read online, though I cannot find the citation, that the famed New York Times book critic, Anthony Boucher wrote of the first collection that it was second best set of stories about spies he had ever read. He was later said to have revised his opinion upwards. I am in no way close to that esteemed reviewer's ability or knowledge but I am right there with him in agreement. These two gentleman are fantastic to read about. Urbane, civilized though deadly, highly intelligent, largely unflappable, and just good people. If you read these stories and don't enjoy them, I'd wonder what part of spy-fi you really were looking for. 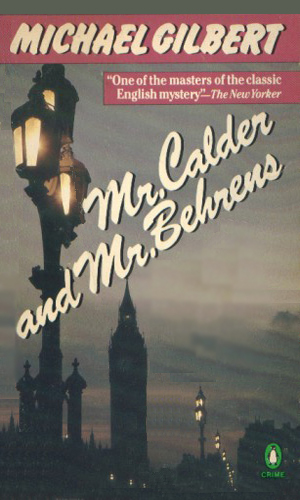 Mr Calder and Mr Behrens are the quintessential examples of the English gentleman spy. Impeccable manners, extremely polite, classically educated,and as dangerous as a bag of black mambas. Their adventures are written in low-key, pellucid prose which leads you through an English landscape as lovely and as dangerous as Midsomer County. Enjoy! Great stories about two old school "killing gentleman". These are some of the very best. Highly recommended.